Who’d a thunk it? There is a tiny but thriving old-time music scene in Tinseltown! Amid the silicon valleys and power lunches of urban LA, fiddler Ben Guzman and his old-time trio Triple Chicken Foot are tapping into the real-deal pure-drop Appalachian traditional sound—and organizing some cool events as well. 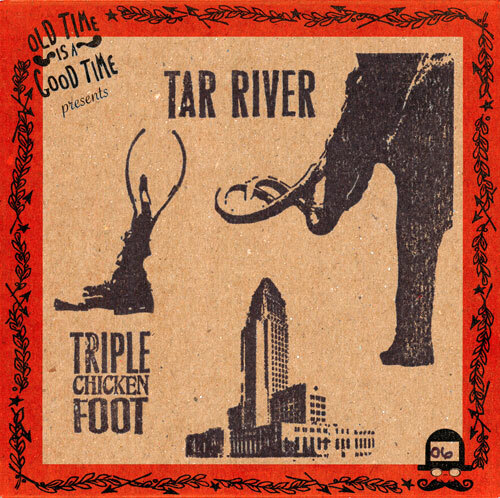 Earlier this year, “The Foot” released their second record titled Tar River, on the Old Time Is a Good Time label. It’s damn good. What it lacks in perfection, it more than makes up in pure piss and vinegar. Listen up people, this is old time music. I sang “parting hand” many times at Shape Note gatherings years ago. It’s one of my 1000 most favorite Shape Note songs (slightly different from your version). Nice work, and, as usual, great taste.